Trafiksäkerhet är ett okänt begrepp i Kambodja. Bild från Phnom Penh tagen av: Anders Thorsell. "The police occasionally go out to give fines – when they need an extra cash in their own pockets – but that doesn’t mean anyone in Cambodia gives a crap about the rules". 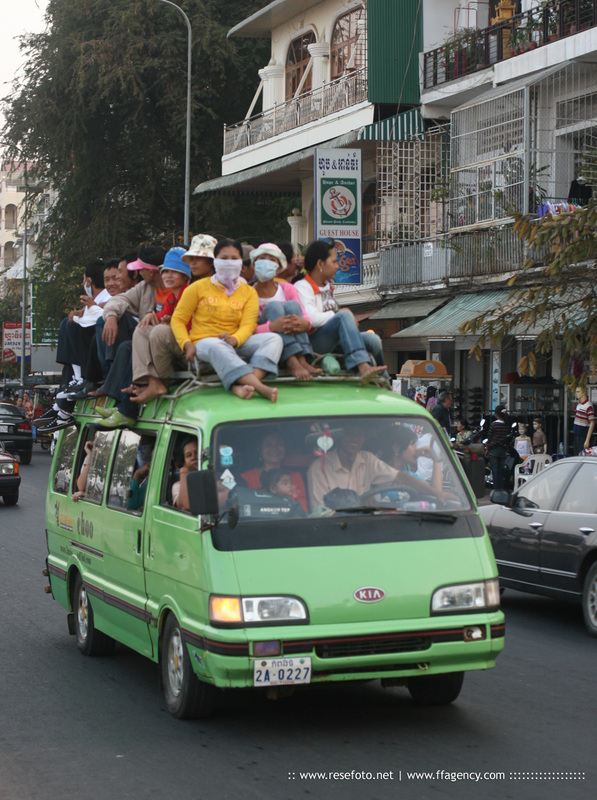 "Traffic safety issues are so severe in Cambodia, they put the country’s violent crime to shame." Läs mer om trafiken i Kambodja.